Jon Henshaw put the hammer down on inbound marketing highlighting how the purveyors of “the message” often do the opposite of what they preach. So much of the marketing I see around that phrase is either of the “clueless newb” variety, or paid push marketing of some stripe. @seobook why don’t you follow more of your followers? One of the clueless newb examples smacked me in the face last week on Twitter, where some “HubSpot certified partner” (according to his Twitter profile) complained to me about me not following enough of our followers, then sent a follow up spam asking if I saw his artice about SEO. The SEO article was worse than useless. It suggested that you shouldn’t be “obvious” & that you should “naturally attract links.” Yet the article itself was a thin guest post containing the anchor text search engine optimization deep linking to his own site. The same guy has a “book” titled Findability: Why Search Engine Optimization is Dying. Why not promote the word findability with the deep link if he wants to claim that SEO is dying? Who writes about how something is dying, yet still targets it instead of the alleged solution they have in hand? Some of the people who wanted to lose the SEO label suggested their reasoning was that the acronym SEO was stigmatized. And yet, only a day after rebranding, these same folks that claim they will hold SEO near and dear forever are already outing SEOs. The people who want to promote the view that “traditional” SEO is black hat and/or ineffective have no problems with dumping on & spamming real people. It takes an alleged “black hat” to display any concern with how actual human beings are treated. Then he told me he wasn’t seeing any results from following all the high-flown rhetoric of the “inbound marketing, content marketing” tool vendor. “Last month, I was around 520 visitors. This month, we’re at 587.” Want to get to 1,000? Work and wait and believe for another year or two. Want to get to 10,000? Forget it. 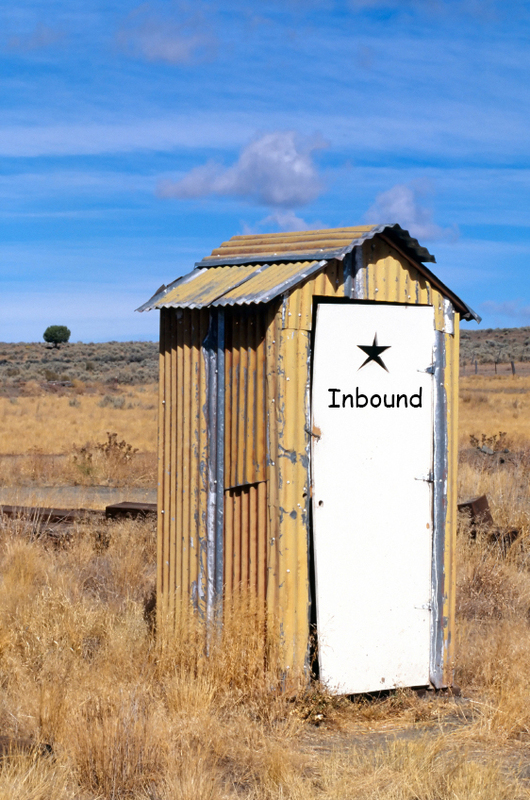 … You could grow old waiting for the inbound marketing fairy tale to come true. Of course I commented on the above post & asked Andrew if he could put “inbound marketer” in the post title, since that’s who was apparently selling hammed up SEO solutions. Hugh MacLeod is brilliant with words. He doesn’t lose things in translation. His job is distilling messages to their core. And what did his commissions for HubSpot state? Claiming that “traditional marketing” doesn’t work – and never did, would indeed be claiming that classical marketing techniques are ineffective / useless. As always, watch what people do rather than what they say. When prescription and behavior are not aligned, it is the behavior that is worth emulating. That’s equally true for keyword rich deeplink in a post telling you to let SEO happen naturally and for people who relabel things while telling you not to do what they are doing. If “traditional marketing” doesn’t work AND they are preaching against it, why do they keep doing it?